DAPP-Zambia works on improving community schools and with the help of Vulnerable Children Program provides 80 children and their families scholarships, mosquito nets and blankets. In many rural areas of Zambia, communities have taken the reins to try to ensure basic education for their children. There where schools are far apart, or families can not afford to send their little ones to study, parents and mothers have organized to create community colleges. Each family pays a small salary to the teachers, while in many cases the community leaders provide a space for classes, for example, in the church. The implementation of these community colleges is an example of how communities work towards their own development. However, the education received by children is far from ideal. Teachers often lack training and facilities are often inadequate for the needs of students. Usually not even enjoy basic sanitation or drinking water source. In 2011, the Zambian government pledged to standardize community colleges and integrate them into the national system, but it is a complex and difficult process. 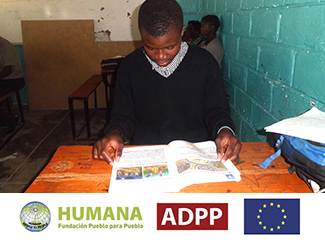 In late 2014, DAPP-Zambia initiated a project with the support of the European Union to improve conditions and educational quality of these schools. 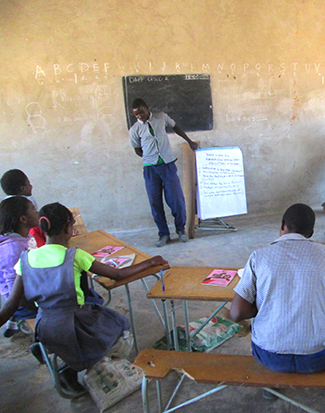 In Chibombo, the project includes 20 community colleges, where FAD works to connect them with the available government resources, to strengthen the capacities of committees of parents and the management teams and improve their facilities. 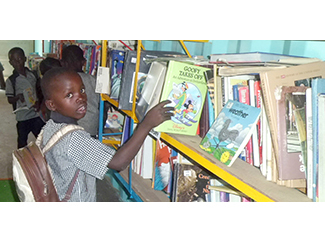 Through the project and with the help of Vulnerable Children Program, they provide 80 children and their families for tuition scholarships, school supplies, mosquito nets and blankets. At the same time, they have launched small gardens in each of the schools to improve student nutrition. Teachers and students from 20 schools have been trained in sanitation and health, and participated in the design of strategies to improve the conditions of each school and reduce cases of malaria, cholera and diarrhea. In addition, the project is working on the procedures to register the schools in the Ministry of Education for approval and is providing quality training for teachers and management teams.